Enjoy the first and only world class theme park in the Philippines located in Santa Rosa, Laguna! Enchanted Kingdom boasts of themed areas with family-friendly and thrilling rides for everyone! Perfect venue for you, your family and kids to enjoy this Holiday season. Are you in Australia? 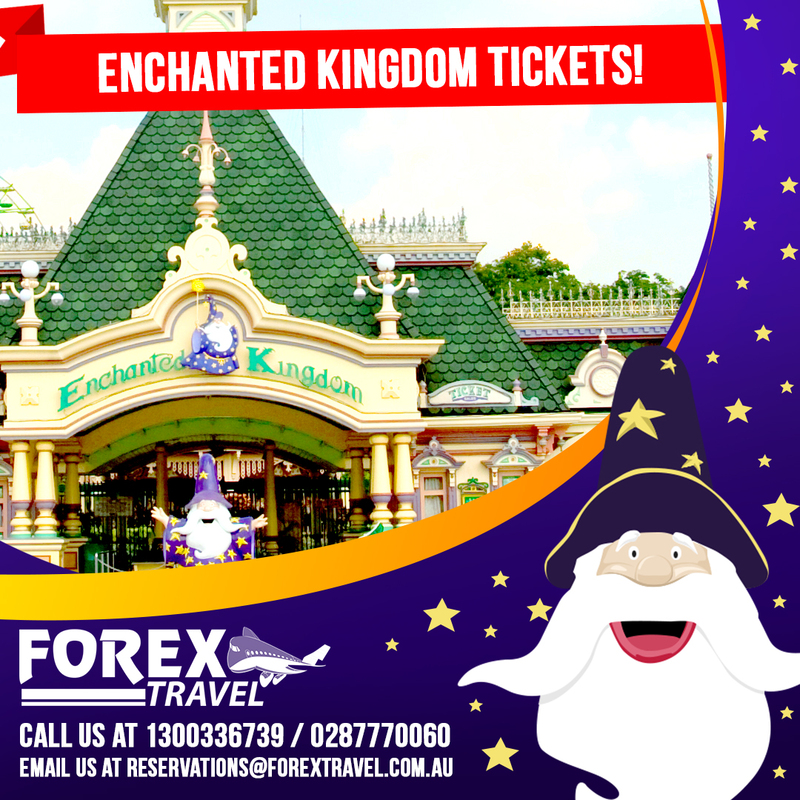 Worry not, you could purchase tickets for your family in the Philippines to enjoy Enchanted Kingdom. Contact us now to avail our amazing promo. Hurry offer runs until November 10, 2017, do note that your Travel Period must be from 07 Sep 2017 to 07 Jan 2018. Book now! Call us at 0287770060 or at 1300336739, email us at reservations@forextravel.com.au. NOTE: Child rate applies to children between 36 – 47 inches tall. If found to be more than 48″/4 ft onsite, guest must purchase an Adult ticket directly from EK. Gated Attractions: Boulderville Kiddie Bumper Boats, Bouncing Boulders, Laser Mission, Expanded XPP Xtreme Paintball, 7D Interactive Motion Theater, Fun Kart and the NEW! Ghostbusters Adventure Live!